Three Mormon missionaries from the U.S. are among the injured after terror attacks in Brussels on Tuesday, according to The Church of Jesus Christ of Latter-day Saints. Richard Norby, Joseph Empey and Mason Wells were reportedly escorting another missionary to the airport when the attack took place. All three men are from Utah and are currently hospitalized. At least 34 people are dead and 198 were wounded in the attacks. 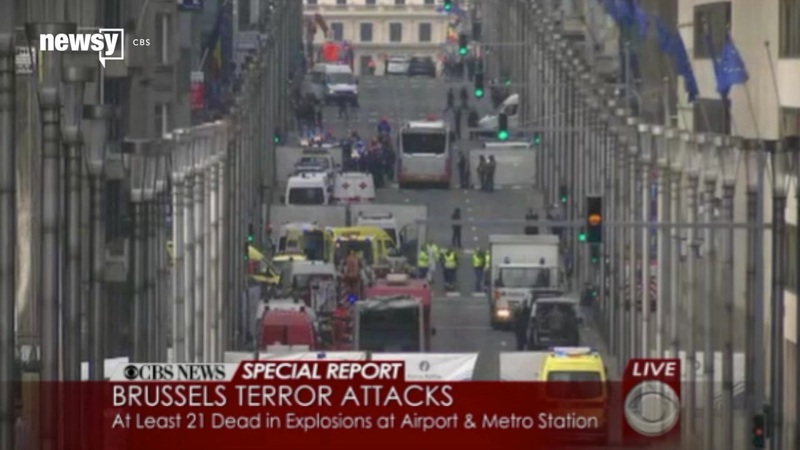 Officials say two explosions occurred at Brussels' international airport Tuesday morning, which were followed by a single explosion at Maalbeek metro station. Officials say at least one of the explosions was caused by a suicide bomber. A media agency ran by ISIS reportedly said the terrorist group was behind the attacks. Government officials have yet to comment on the claim. This also comes less than a week after the arrest of Salah Abdeslam, the sole surviving suspect of the Paris attacks in November. He was arrested in Brussels.